Think it's hard to compete now on an Internet dominated by Facebook, Google and those guys? It might be getting a lot harder soon. 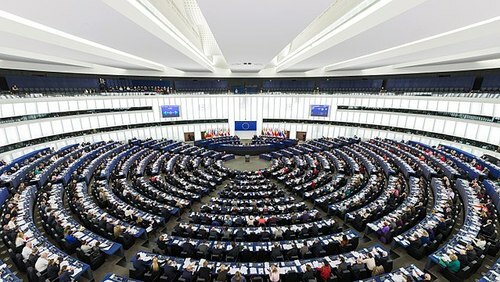 Well-intentioned copyright regulations to be voted on by the European Union Wednesday would have the unintended consequence of cementing hypercloud platforms' monopolies. The EU Copyright Directive contains two dangerous proposals: Article 13 requires online businesses that accept user-generated content to install expensive, automated copyright filters designed to identify and block copyrighted materials, to reduce piracy. And Article 11 would require companies, like Google, to pay news sites for linking to their articles, says Cory Doctorow, a special consultant to the Electronic Frontier Foundation. "This is an extinction-level event for the Internet as we know it," Doctorow says. "It's a license to dominate the Internet that the European Union is selling to Google, Apple, Facebook and so on, at the expense of European companies that will not be able to outnegotiate bigger, American competitors." Doctorow is multi-talented -- he's an award-winning science fiction novelist and co-author of the popular Boing Boing website, where he's written extensively about Article 13, Article 11, and general copyright issues. Article 13 seems the most dangerous to telcos and enterprises. It says that anybody who has a forum open to the public, where users can publish arbitrary content -- text, video, music, games, mods or skins to Minecraft characters -- will have to have a copyright filter with a database of all the known copyright works, Doctorow says. "The filters have been tried before, unsuccessfully," Doctorow says. Google, for example, has Content ID on YouTube, which cost $60 million to build, and an unknown additional amount to maintain and run. Content ID only does a fraction of what the proposed European engine will do, only filtering audio of video on YouTube. And it still frequently makes mistakes, blocking non-copyrighted material, such as performances of works of classical music. The Article 13 database will be even broader, allowing anyone to claim to be a rights holder, with no provisions for abuse. "I can put the whole works of William Shakespeare on a Wordpress database, and no Wordpress blogger will be able to quote Shakespeare," Doctorow says. Content ID has already been abused by police claiming copyright of shooting and beating videos, governments suppressing evidence of official corruption, and neo-Nazi groups who want to silence critics who want to reproduce materials online, Doctorow says. And Article 13 won't stop pirates; content filters are easily circumvented, Doctorow says. "These filters will cost a fortune, which means that only American companies with vast funds will be able to offer platforms, while European companies with smaller pockets will be frozen out," Doctorow says. As telcos face increasing financial pressures from cloud and platform companies who are sucking up all the profits on the Internet, the new European copyright directives will make competition even tougher. The directives set high barriers to entry to telcos that are looking to branch out into the content business. And even telcos that want to stick to providing data pipes will find fewer options to provide content to fill those pipes. Traditional enterprises, particularly retailers and other consumer businesses, already find Google and Facebook are gatekeepers standing between them and their customers; the copyright measures will strengthen the platform companies, Doctorow says. Tech companies now oppose Article 13 and Article 11, but they'll learn to live with it, Doctorow says. "These tech companies' first choice is not to be regulated, but they're not exactly opposed to being sold a license to dominate the Internet," he says. The other proposal, Article 11, has less direct impact on most telcos and enterprises, but has gravely harmful societal consequences. It requires a so-called "link tax" requiring platforms to pay news sites to link to their articles. The directive doesn't define a link and a news site -- a "pretty significant deficit," Doctorow says. Article 11 is based on earlier laws in Germany and Spain; Google reacted by blocking Google News to those countries. Now European publishers are looking to push the laws continent-wide to force the hand of Google and other aggregators, Doctorow says. Article 11 poses grave dangers for democracy, Doctorow says. "If a company gets to decide who can link to them, and that company is publishing the news, then companies publishing biased or partisan news get to decide who can criticize them," he says. "Also, in an era of fake news, people who want to rebut fake news link to reputable news sites." Those reputable news sites will have lawyers to enforce Article 11, while fly-by-night fake news sites won't. The result: "Linking to fake news will be easy, and linking to real news will be legally fraught," Doctorow says. And, as with Article 13, Article 11 advantages big companies with armies of lawyers over small, regional companies. Doctorow urges Europeans to go to saveyourinternet.eu to contact their European Parliament representative, and tell two friends to do the same. And Americans should tell two European friends. I believe Doctorow on these matters. I've known him for many years, and he's been a stalwart watchdog on copyright issues. Doctorow will be the first to admit that these issues are often dry and downright boring, and most people just don't care. Pre-Internet, copyright was an obscure bit of commercial law that only a few media lawyers needed to care about. Now, copyright pervades every corner of the Internet -- which is another way of saying every corner of society. Although I believe Doctorow and his allies, many people don't. The British Copyright Council says opponents to Article 13 and Article 11 are full of baloney. Article 13 in particular "only applies to a narrow type of online sites, ie the commercial platforms whose main purpose is to give public access to copyright works that have been uploaded by users" (emphasis theirs). More at the link. And the Society of Authors published its own pro-copyright position paper saying hyperlinking is explicitly exempted from Article 11. It's hard to come out against measures designed to expand copyright, because you end up coming off as anti-copyright. And that's not the case for Doctorow -- or me, either. Copyright is one of the great inventions of the past few centuries; it allows people to get paid for thinking and disseminating ideas. But too often lately copyright has been abused by incumbents looking to profit from the work of others without providing fair compensation.